Don't want to wait? You can still order the fourth edition of Profiles of Pennsylvania here. 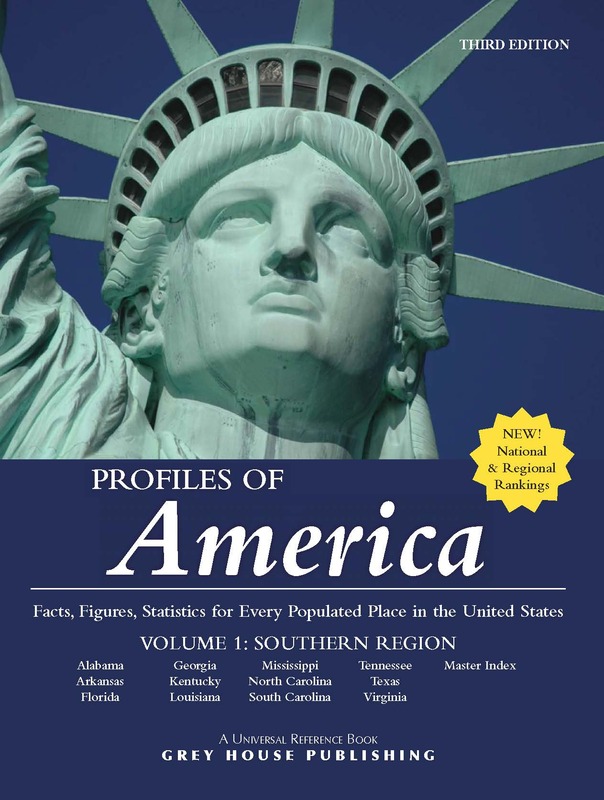 This edition also includes profiles of 473 unincorporated places based on US Census data by zip code. In full color, this section gives the researcher a real sense of the nation’s second state and its history, and includes a photo gallery, demographic maps, and comprehensive sections on Pennsylvania’s government, land, and natural resources. With charts and maps, these 77 pages help to anchor the researcher to both physical and political aspects of the state. The careful layout of these profiles gives the user an easy-to-read snapshot of every single place and county in Pennsylvania, from the biggest metropolis to the smallest unincorporated hamlet. Each profile contains complete data sets on various topics such as History, Geography, Climate, Population, Economy, Income, Taxes, Education, Housing, Health, Environment, Public Safety, and more. The richness of each profile is astounding in its depth, all packed in an easy-to-navigate, compact format. NEW categories to this edition include data on public and private health insurance, selected monthly owner costs, language spoken at home, people with disabilities, and veterans. In addition to place profiles, this section includes a Place Name Index. Users will have immediate access to a snapshot profile of each district serving 1,500 or more students. Each district profile includes contact information, along with grades served, the numbers of students, teachers and schools, student/teacher ratios, and more. This section begins with an Educational State Profile, summarizing number of schools, students, diplomas granted and educational dollars spent. Following the state profile are School District Rankings on 16 topics ranging from Teacher/Student Ratios to High School Drop-Out Rates. Following these rankings are statewide National Assessment of Educational Progress (NAEP) results and data from both the Pennsylvania System School Assessment (PSSA) and Keystone Exam, which give an overview of student performance by subject, including easy-to-read charts and graphs. In this section, users will find need-to-know data on the Hispanic and Asian population of each state, along with data on all ancestry groups reported. Details include population concentrations, income, educational attainment, and much more. This section provides extensive climatological data on all of Pennsylvania’s weather stations, including statistics on maximum and minimum temperatures, precipitation, extreme temperatures, humidity, and more. 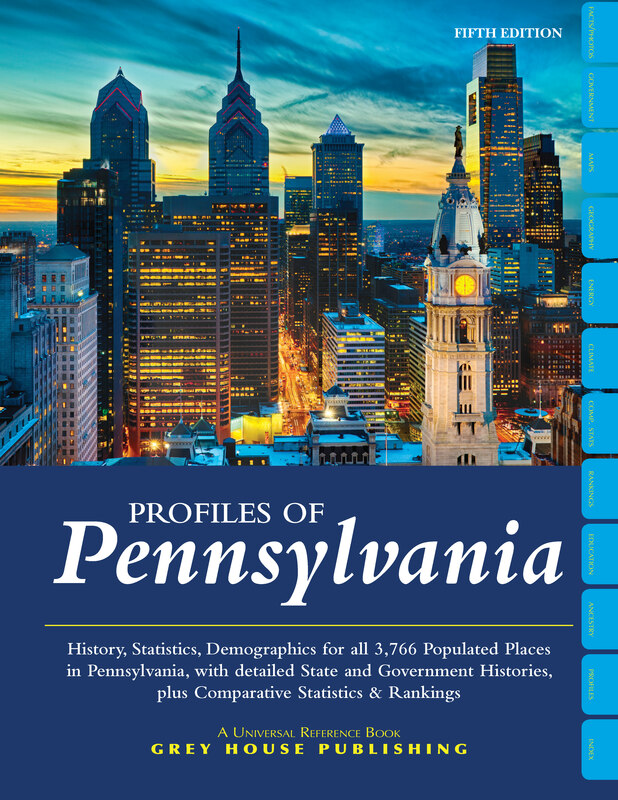 Selected statistics are pulled for 100 of Pennsylvania’s largest towns and cities. Each of 22 different data points has its own two-page spread with cities listed in alphabetical order, so researchers can easily compare and rank cities. 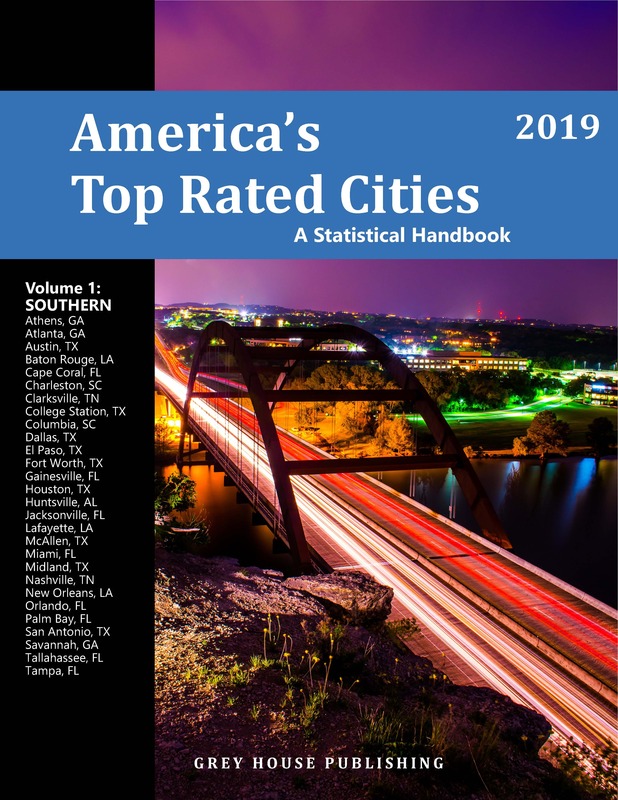 Among the statistics selected for this section are: Employment, Income, Unemployment Rate, Population Characteristics, Taxes, Cost of Living, Education, Health Care, Public Safety, Air Quality, and more. 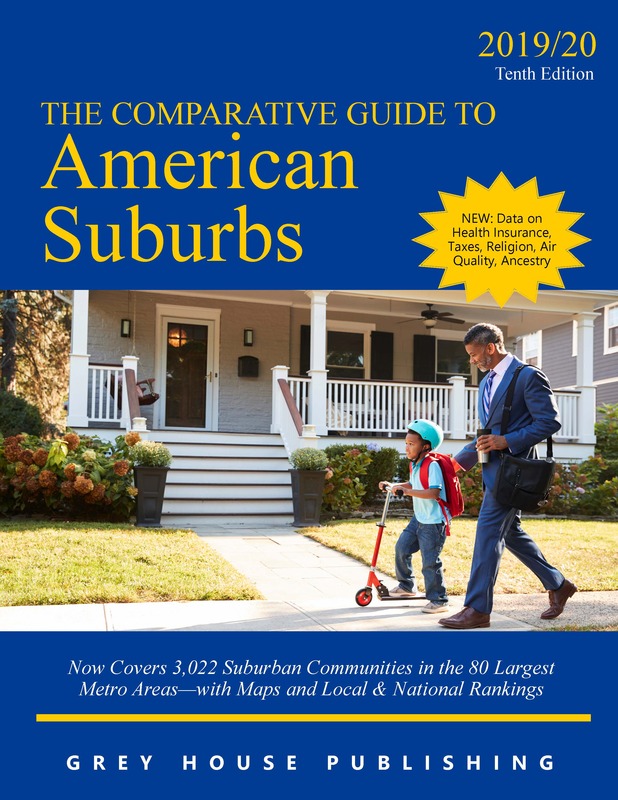 This new section includes tables that rank the top and bottom 150 communities with a population over 2,500, in dozens of categories. Buyers of this edition of Profiles of Pennsylvania get FREE ONLINE ACCESS. 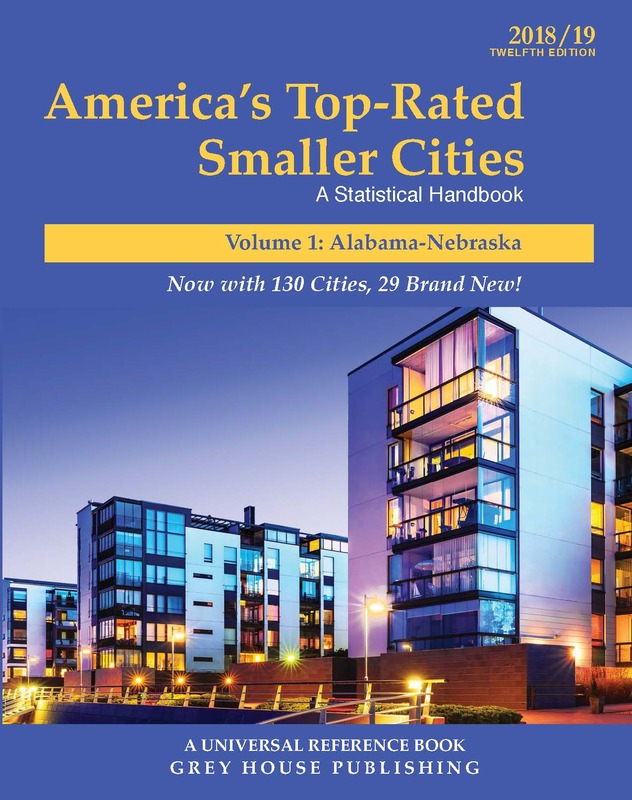 The online site offers users immediate access to sortable comparative ranking charts that allow for quick and easy comparisons of all populated places in the state. Plus, online access provides additional data points available only online!